The question of whether or not a horse owner should shoe his or her horse comes up now and then. Some have claimed that all horses should be trimmed regardless of their environment or occupation. Horses are as individual as people. What works for one may not work for another. Some horses have hard, strong feet. Some horses have weak, tender feet. Just as people have a variety of foot ailments, horses, too, can have genetically inherited foot ailments that can only be made more comfortable with the right foot care plan. There are five major reasons for shoeing horses. A general rule of thumb is this: If a horse’s hooves grow faster than they wear, a horse needs only to be trimmed. In this case shoes are likely not necessary. However, if a horse’s hooves wear faster than they grow, the feet should be protected. Horses that are kept in or ridden over rough ground will wear their feet quicker than a horse kept in areas with softer ground. In places like the Sandhills of Nebraska, it is very rare to see a horse with shoes. In the Rocky Mountains of Colorado, shoes are practically a necessity. This is comparable to people who live in tropical communities that rarely need to wear shoes and people who live in the mountainous, rocky areas that must wear shoes to prevent getting sores on their feet. Horse's need shoes when they wear their hoofs faster than they grow. 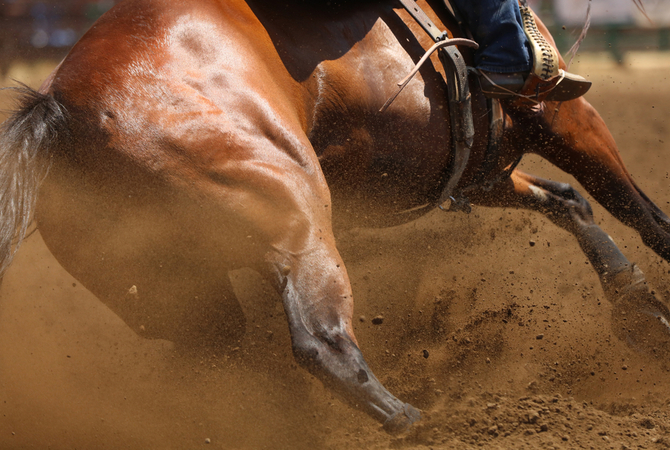 Foot sore horses may show mild lameness, poor performance, or rebellious behavior. Occupation is a big consideration too. A horse that is ridden often will wear feet more quickly than the horse that is simply a pasture ornament. Many endurance horses need shoes to compete in 50 and 100 mile races. Often times the shoes are worn thin after a single race! Imagine what the feet would look like if the horse had no protection. In addition to protecting the bottom of the feet, some horses require traction to prevent injury from slipping and falling down. Just as football players lace up their cleats before practice or a game, some athletic horses require shoes that will grip the ground. Barrel horses, polo horses, hunter-jumper horses and roping horses are a few examples of horses that benefit from gripping the ground to compete at their maximum potential. Conversely, sliding and reining horses can perform their jobs better with less traction. Shoes with a wide web (sliding plates) will allow sliding horses to slide even further than they would if they were barefoot. 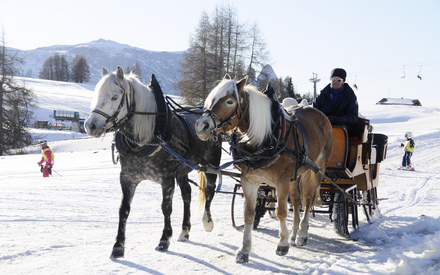 Slippery pavement, hard rock surfaces and snow pose a danger to working horses. Shoes can provide additional traction and safety. Traction can also be an important consideration for those who ride in the winter time. Snowy fields and icy roads can be treacherous for the horse (and rider!) that doesn’t have the proper foot wear. Studs or borium (tungsten carbide) can be attached to the ground surface of a shoe to keep a horse from slipping, similar to the way snow tires keep a car on the road. Shoes can cause horses feet to “ball up” with snow, so it is a good idea to have snowball pads applied between the shoe and horse’s foot. By fitting lateral support shoes to the outside of this toed in horse, pressure is more evenly distributed over the limb, making the horse more comfortable. Some horses have limb deviations that create a “toed in” or “toed out” effect. For these horses, weight is unevenly distributed and can cause discomfort in the joints over time similar to a pigeon-toed person whose ankles may start to hurt because of uneven weight bearing. A shoe placed under the limb’s center of gravity will help distribute pressure evenly so the horse is more comfortable. 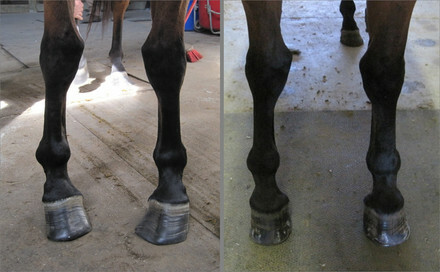 Poor hoof care can result in uneven pressure on the legs. 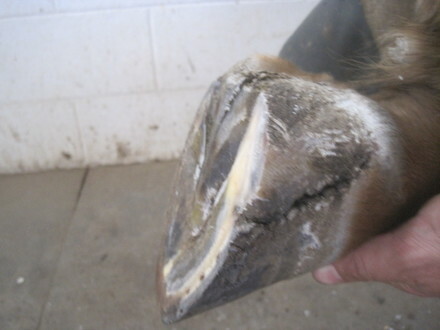 Proper hoof care and shoeing can correct or maintain limb structure. A horse that is severely toed in (fetlock varus) can benefit from a shoe fit full to the outside where the horse is deficient (lateral support shoe). Some people suffer from fallen arches and need a special type of shoe to feel comfortable. Horses with limb deviations need special therapeutic types of shoes to get around comfortably. Shoes may be useful for a horse that needs help to improve its gait. This is often thought of in terms of show horses that have very animated gaits already but can be made better by the right kind of shoe. Farriers can help horses improve gait to the horse’s full potential. This does not mean intentionally making a horse sore to make the horse pick up his feet like so called “pressure shoeing” or other unethical practices that have been outlawed by the Horse Protection Act. Farriers help horses and never intentionally cause a horse pain. Some horse's have interference between front and hind feet at faster gaits. Shoes can be implemented to reduce the chances of interference thus reducing pain and injury. In some cases, modifications to shoes can help to improve its gait. For example, a horse with the poor conformation of a short back will likely “overreach.” This means the hind feet come forward and strike or bump into the front feet. This annoying defect can be alleviated for the horse by bending up the toe of the shoes on the front feet with a rocker toe and squaring the toe and extending the heels on the shoes of the hind feet. The front feet can now “break over” more easily while the hind feet will grab the ground a fraction of second sooner. The changed timing allows the feet to miss each other in flight. Finally, shoes can be useful in cases of horses that have diseased or injured feet. A horse that has laminitis or founder will be sore in the front of the feet. The hoof wall that normally bears the weight is now painful to stand on because the laminae that connected the hoof wall to the bone is coming apart. A lot of horses with laminitis and founder decline rapidly because it hurts to move. Therapeutic shoes called heartbar shoes shift weight to the frog or rear part of the hoof while at the same time stabilizing the bone column inside the foot. This offers the horse relief while the process of growing a new healthy hoof begins. Sometimes painful quarter cracks require shoeing to stabilize the hoof and allow the condition to heal. Horses with laminitis, founder, navicular syndrome, club feet, and serious hoof cracks can all benefit from therapeutic shoeing. In some cases, like founder, the shoes may only be necessary until the horse recovers from its ailment (like a cast for a person who has broken a bone). In other cases, like navicular and severe club foot cases, the horse will probably need therapeutic shoes for life (like a person with fallen arches). In all these cases, the shoes are no good without a skilled farrier to apply them. Competent farriers will know when a horse will benefit from shoes and when a horse will be fine or better off without shoes. Each horse must be assessed on an individual basis. What works for one may not work for another. Properly applied shoes do not hurt horses’ feet. The goal of any good farrier is to never do harm to the animal. Simply trimming horses (without shoes) is a big part of any farrier’s business, but when a case comes along where the horse needs protection, traction, or therapy from a disease or injury, it is invaluable to have a good farrier who can provide those things through proper shoeing. Pete Butler has been shoeing for 12 years. 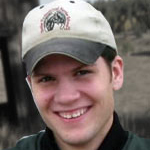 He apprenticed with his Dad, Doug Bulter PhD, and then attended farrier school.He is an AFA Certified Journeyman Farrier and teaches at Butler Professional Farrier School.